I've been working so hard on something these past few months and I am so excited to share it with you today. Summer is so close, yet so far, but I am determined to make this summer the best one ever! The Stylish Summer Challenge is going to be an 8 week challenge beginning on April 26th, and ending on June 21st. This challenge is going to push us to be the healthiest and happiest selves for summer. Each Sunday of the challenge, there will be a post with daily challenges for the week. This could be anything from "read a book" to "wear a bright lip". This challenge is all encompassing. I want you guys to feel beautiful in every aspect of your lives. I'll be doing posts and videos each week and I'll be sure to include some recipes, diys, and tutorials for you! I want all of you guys to do this challenge with me, and as a little reward, there will be giveaways every other week during the challenge! Are you ready to have the best summer of your lives? Enter your email here to join the challenge! 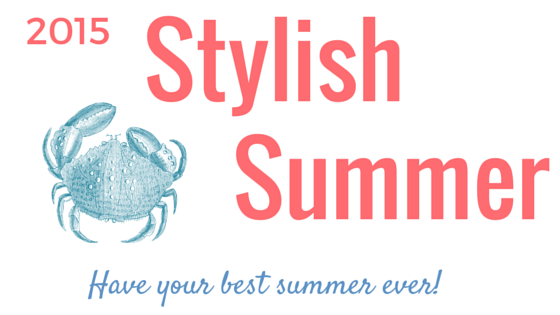 Join the Stylish Summer Challenge! Great post! Can't wait to see the challenges!